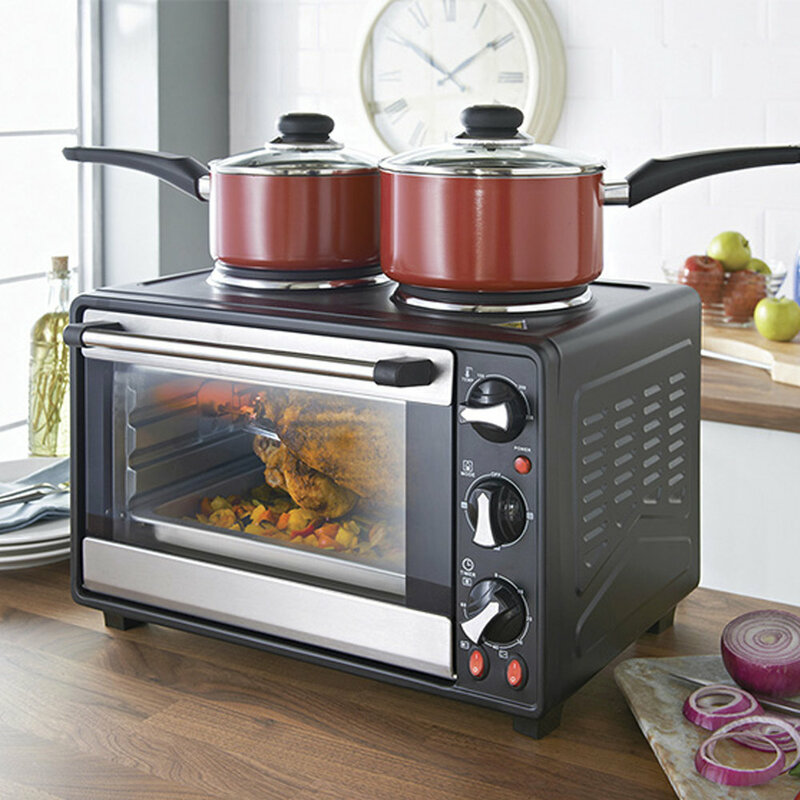 The Quest brand brings you this 26 Litre Twin Hob Convection Oven. 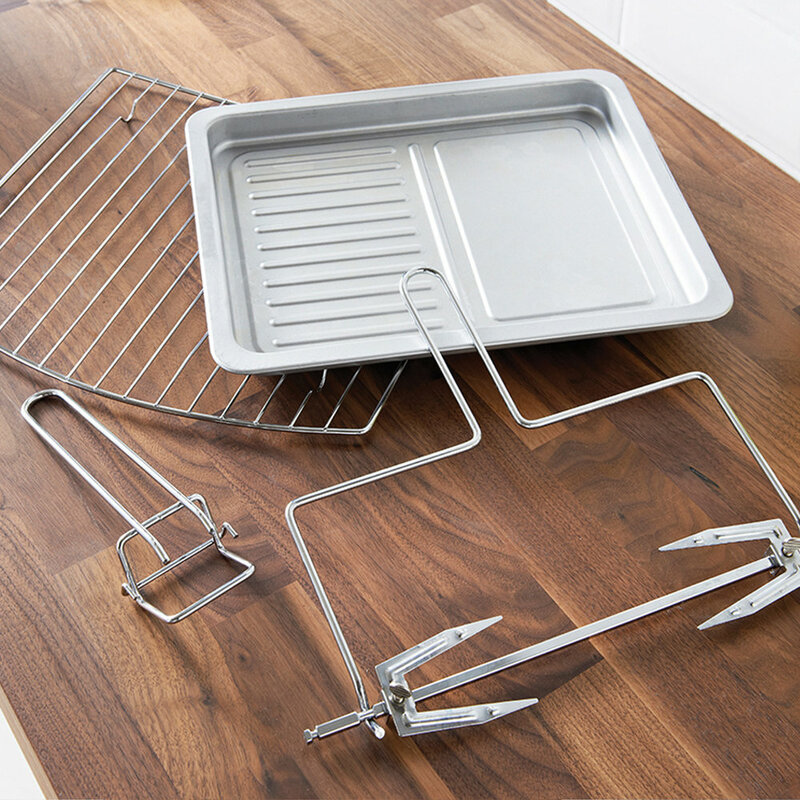 Versatile cooking - Boil, Bake, Grill & Rotisserie for all round cooking! 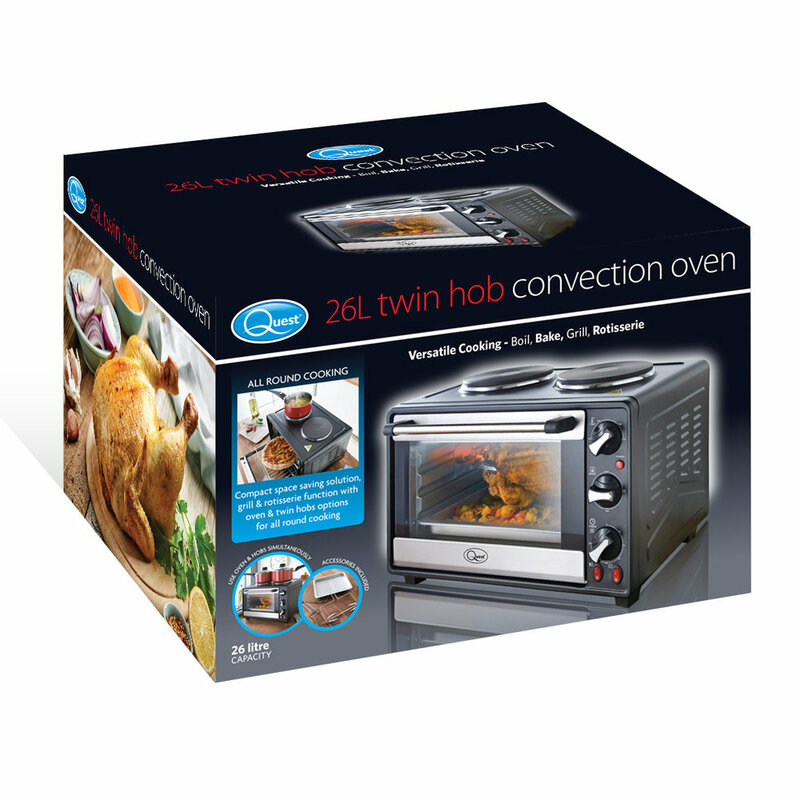 This powerful 17L Twin Hob Convection Oven with versatile cooking - Boil, Bake, Grill, Rotisserie, Fry. Perfect for all round cooking! adjustable temperature up to 230 degrees! Adjustable temperatures unto 230°C and a 60 minute timer with bell ring. 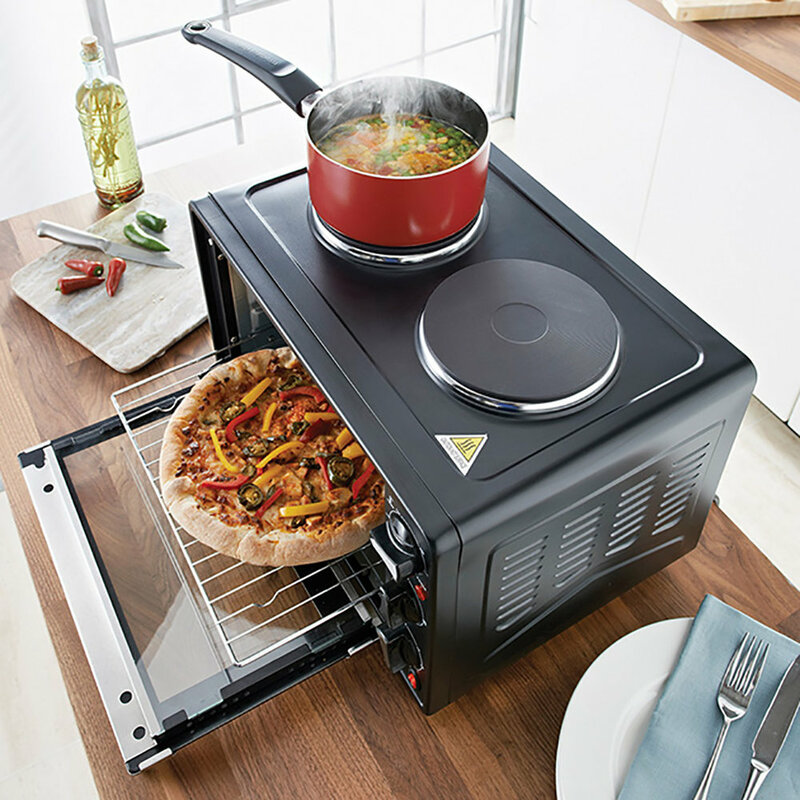 Compact space saving solution, grill & rotisserie function with oven & twin hobs option for all round cooking. 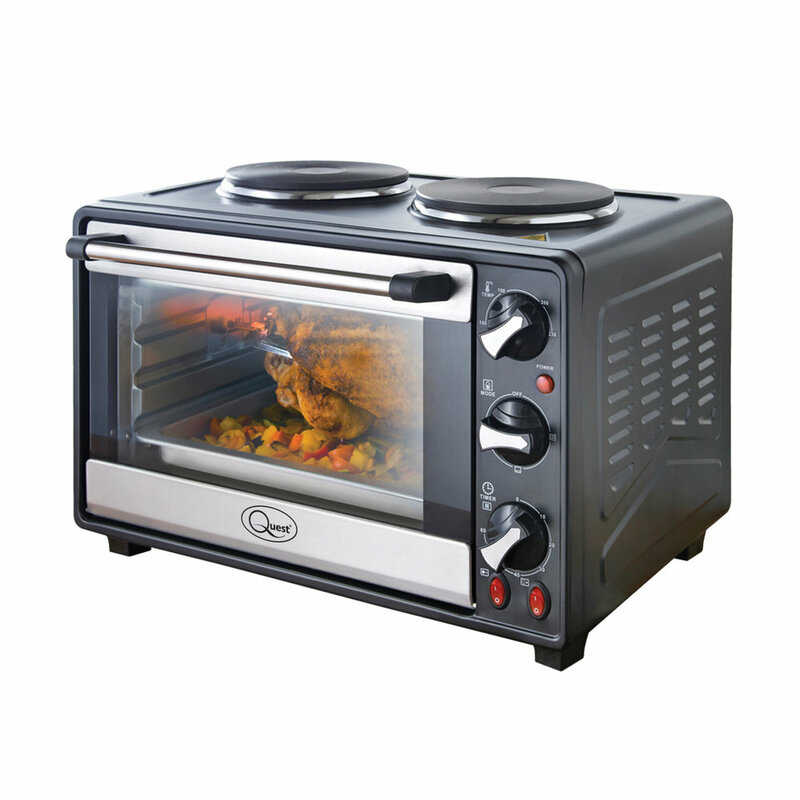 Make delicious and lavish dinners for your family with this convection oven, complete with a rotisserie function.